Croix de Jalasset a few hours out of Le-Puy-en-Velay. My approach to medieval art history is less one that focuses on individual paintings, sculptures, or buildings as such than one that takes into account the work of art as existing in a specifically medieval artistic culture, that is, as existing in the sub-culture of a particular social or religious group within a particular region at a particular time, in which various aspects of the work of art–such as expectations in material, craftsmanship, size, quantity, and type of subject matter–needed to be negotiated. Toward this end, I work or have worked on such topics as medieval art as an investment, the use of art to attract donations, the equation between excessive art and holiness, art as seen in opposition to the care of the poor, art as a spiritual distraction, art as a spiritual aid, legislation on religious art, the sacred economy and art (the Cult of the Dead, which tends toward liturgical art and liturgically oriented architecture; and the Cult of Relics, which tends toward monumental art: painting, sculpture, and more publically oriented architecture), the aesthetics of holiness and the aesthetics of excess, praesentia (the sense of the presence of the holy) and the sensory saturation of the holy place, the localization of the holy, the necessity of pilgrimage art, reading and the internalization of literary analytical methods on the part of the artist, images of monstrous violence and daily life as projections of spiritual striving, building-miracles (miracles that were said to have taken place during the construction of particular churches), twelfth-century creation imagery in its political and scientific contexts, medieval maps as conveyors of a specific world-view, the use of the architectural metaphor in the medieval West, the invention of the Gothic portal, the invention of the Gothic exegetical stained-glass window, the “Augustinian sign” (as opposed to the “Pseudo-Dionysian symbol”) in the first Gothic stained-glass windows at Saint-Denis, the implications of literacy and claims to elite status in the social/spiritual hierarchy (and changes in this hierarchy caused by social changes in literacy), medieval architectural theory and the classic Cistercian plan, the historiography of Romanesque and Gothic art, and–more generally–the social theory of medieval art, the ideological use of art, monasticism and art, and art and social change. In this, my work has challenged a number of leading theories of medieval art history, including on Pseudo-Dionysian light mysticism, Bernard of Clairvaux’s Apologia, the Cîteaux Moralia in Job, the classic Cistercian plan, and Hugh of Saint Victor’s Mystic Ark. I have been awarded a number of fellowships and grants, including from the John Simon Guggenheim Memorial Foundation, the Getty Research Institute, the Andrew W. Mellon Foundation, the National Endowment for the Humanities (repeat), the Samuel H. Kress Foundation (repeat), and the Millard Meiss Publication Fund of the College Art Association. Among many other activities, I am or have been a member of the board of editors of Speculum (Speculum is the journal of the Medieval Academy of America and the leading journal of medieval studies in the United States), caa.reviews (the College Art Association’s online journal of reviews), and Comitatus; and was Field Editor for Medieval Art for caa.reviews. I have acted as an invited nominator for the John D. and Catherine T. MacArthur Foundation Fellows Program and as a reviewer for the John Simon Guggenheim and Getty Grant Foundations (for a range of fellowships and grants), as well as for the other international granting agencies. I have served as a member of the International Advisory Board of the journal Art History, the Board of Advisors of Architectural Histories (the journal of EAHN, the European Architectural History Network), the Advisory Board of the series Companions to Art History (Blackwell, Oxford), and the Board of Directors of the International Center of Medieval Art (ICMA). I am an elected Fellow of the Center for the Arts, Religion, and Education, of the Graduate Theological Union, Berkeley, and the recipient at UCR of both the University Distinguished Teaching Award (an award that recognizes exceptional teaching at the undergraduate level in general) and the University Honors Faculty Mentor of the Year award (which recognizes exceptional teaching and guidance at the level of the individual student). I have served as department chair twice. I am currently the Project Director for FACES (Faces, Art, and Computerized Evaluation Systems), a pioneering attempt to apply face recognition technology to works of portrait art, an automated version of which will be available online through UCR and through the Frick Art Reference Library of the Frick Collection in New York (funded through the National Endowment for the Humanities and the Kress Foundation). Ph.D., History of Art, University of California, Los Angeles, 1985. M.A., History of Art, University of California, Los Angeles, 1981. B.A., History of Art, University of California, Los Angeles, 1977. Areas of Specialization: Medieval Art History with special interests in such topics as the social theory of medieval art, the ideological use of art, monasticism and art, the origin of Gothic art, and the art and social change. 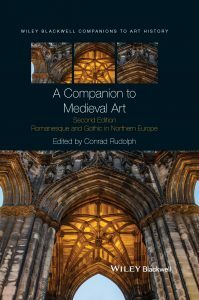 A Companion to Medieval Art: Romanesque and Gothic in Northern Europe, Blackwell Companions in Art History, 2nd ed. (Wiley-Blackwell, Oxford, forthcoming April 8, 2019) (a collection of thirty-nine original essays from leading and upcoming scholars in the field, each historiographically analyzing one of a systematic and editorially determined range of subjects in the development of Romanesque and Gothic art history; eleven new essays were added to the revised original thirty essays; this includes my introductory essay, “A Sense of Loss: An Overview of the Historiography of Romanesque and Gothic Art”). In press: “‘In Its Extraordinary Arrangement’: Hugh of Saint Victor, the History of Salvation, and the World Map of The Mystic Ark,” Restoration Through Contemplation: New Approaches to the Victorines, ed. David Orsbon and Robert Porwoll (Brepols, Turnhout, forthcoming 2019; completed and in press since 2014) (30 typescript pages). In press: “The Architectural Metaphor in Western Medieval Artistic Culture: From the Corner Stone to The Mystic Ark,” The Cambridge History of Religious Architecture, ed. Stephen Murray (Cambridge University Press, Cambridge, forthcoming spring 2019; completed and in press since 2009) (26 typescript pages). “The Tour Guide in the Middle Ages: Guide Culture and the Mediation of Public Art,” Art Bulletin 100 (2018) 36-67. Akash Gupta, Niluthpol Mithun, Conrad Rudolph, and Amit K. Roy-Chowdhury, “Deep Learning Based Identity Verification in Renaissance Portraits,” IEEE International Conference on Multimedia and Expo (ICME) 2018 (this is considered to be one of the most prestigious journals in its field) [n.p.]. Conrad Rudolph, Amit Roy-Chowdhury, Ramya Srinivasan, and Jeanette Kohl, “FACES: Faces, Art, and Computerized Evaluation Systems–A Feasibility Study of the Application of Face Recognition Technology to Works of Portrait Art,” Artibus et Historiae 75 (2017) 265-291 (FACES was conceived of by myself and I was Project Director and Principal Investigator; this article was entirely written by myself; my co-investigators authored a separate, more specifically computer science orientated piece). “The Parabolic Discourse Window and the Canterbury Roll: Social Change and the Assertion of Elite Status at Canterbury Cathedral,” Oxford Art Journal 38 (2015) 1-19. “Costruyendo la casa de Dios. La metáfora arquitectónica y El Arca Mística,” Codex Aquilarensis: Revista de arte medieval 31 (2015) 47-67; English version of “Building the House of God: Architectural Metaphor and The Mystic Ark” available upon request. “The City of the Great King: Jerusalem in Hugh of Saint Victor’s Mystic Ark,” Visual Constructs of Jerusalem, ed. Bianca Kühnel, Galit Noga-Banai, and Hanna Vorholt (Brepols, Turnhout, 2014) 343-352. “Suger, Abbot of Saint-Denis” Encyclopedia of Aesthetics, ed. Michael Kelly, 2nd, rev. ed., 6 v. (Oxford University Press, Oxford, 2014) v.6 , 78-79. “Person, Time, and Place in the Construction of History in Hugh of Saint Victor’s Mystic Ark,” Romanesque and the Past: Retrospection in the Art and Architecture of Romanesque Europe, ed. John McNeill and Richard Plant (British Archaeological Association, Leeds, 2013) 265-282. “Inventing the Exegetical Stained-Glass Window: Suger, Hugh, and a New Elite Art,” Art Bulletin 93 (2011) 399-422. “Art and Architecture: Cistercian,” The Oxford Dictionary of the Middle Ages (Oxford University Press, Oxford, 2010) (9 typescript pages; completed and in press since 2004). “Monastic Aesthetics and the Rise of Gothic Art,” in Michelle P. Brown, The Lion Companion to Christian Art (Lion Hudson, Oxford, 2008) 155-158. “A Sense of Loss: An Overview of the Historiography of Romanesque and Gothic Art,” A Companion to Medieval Art: Romanesque and Gothic in Northern Europe, ed. Conrad Rudolph (Blackwell, Oxford, 2006) 1-43. 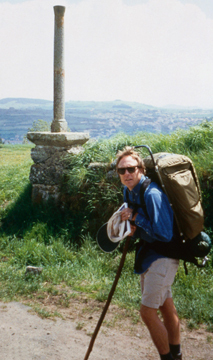 “Communal Identity and the Earliest Christian Legislation on Art: Canon 36 of the Synod of Elvira,” Perspectives for an Architecture of Solitude: Essays on Cistercians, Art and Architecture in Honour of Peter Fergusson, ed. Terryl Kinder (Brepols, Turnhout, 2004) 1-7. “La resistenza all’arte nell’Occidente,” Arti e storia nel Medioevo, ed. Enrico Castelnuovo and Giuseppe Sergi, 4 vol. (Giulio Einaudi Editore, Turin, 2002-2004) v.3, p. 49-84 (English version of my piece, “Resistance to Art in the West,” available upon request). “Isaac Laughing : Caravaggio, Non-traditional Imagery, and Traditional Identification,” co-written with the Baroque scholar Steven Ostrow, Art History 24 (2001) 646-681. “In the Beginning: Theories and Images of Creation in Northern Europe in the Twelfth Century,” Art History 22 (1999) 3-55. “Building-Miracles as Artistic Justification in the Early and Mid-Twelfth Century,” Radical Art History: Internationale Anthologie, Subject: O.K. Werckmeister, ed. Wolfgang Kersten (Zip Verlag, Zurich, 1997) 398-410 (Festschrift for Karl Werckmeister). “The Scholarship on Bernard of Clairvaux’s Apologia,” Cîteaux: Commentarii Cistercienses 40 (1989) 69-111. “Bernard of Clairvaux’s Apologia as a Description of Cluny and the Controversy Over Monastic Art,” Gesta 27 (1988) 125-132. “The ‘Principal Founders’ and the Early Artistic Legislation of Cîteaux,” Studies in Cistercian Art and Architecture 3, Cistercian Studies Series 89 (Kalamazoo 1987) 1-45. “Heterodoxy and the Twelve Great Feasts of the Eastern Church,” Comitatus 12 (1981) 13-30 (received prize for best interdisciplinary essay). “The Wu Family Shrines,” Journal of Asian Culture 4 (1980) 21-47.